Update time! 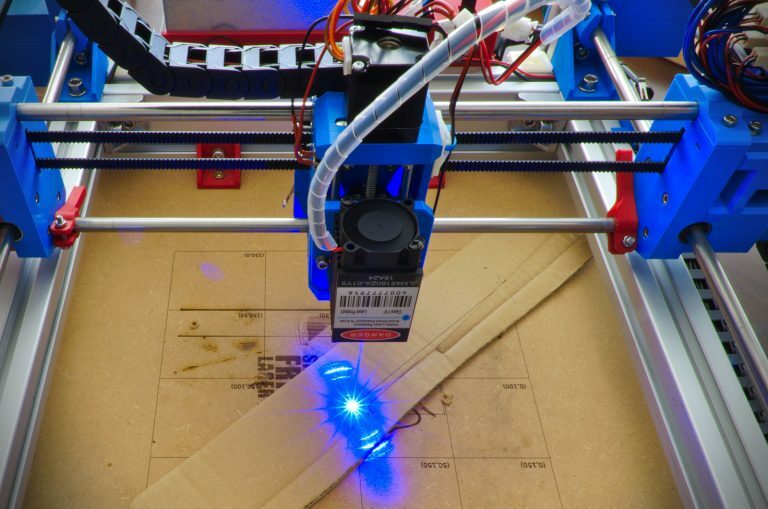 The CoreXY Laser Engraver has been updated with a motorized Z axis and numerous other enhancements… like more laser power. Har Har Har! When Jogi posted his make on Thingiverse he already added many improvements over my initial design, like cable chains, larger build area and overall cleanliness (I’ll address this one in Mk3 😉 ). We started discussing about a Z axis and it got me hooked up right away. Here’s the result! Lasers are fun, especially high-power ones. Some time ago I purchased a 1 W blue laser and due to a recent 3D printer upgrade I had some spare linear motion components. 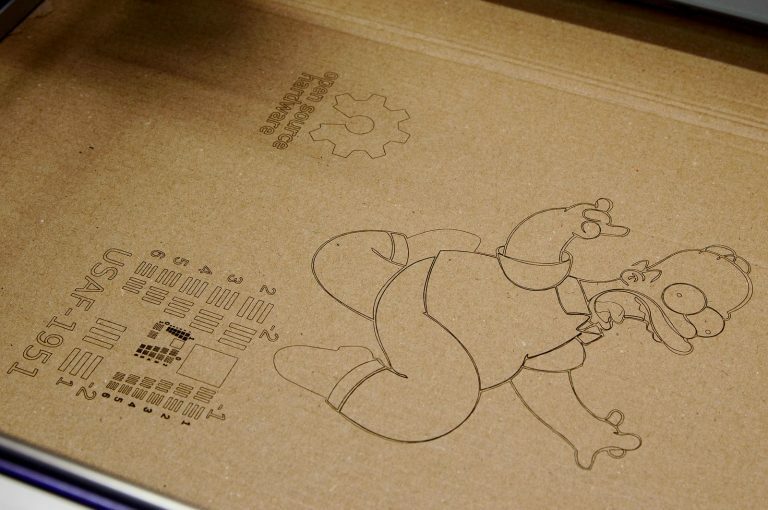 The next steps are quite obvious, build a 2D laser engraver! I’ve always liked the CoreXY kinematic design and chose to use it in this project.